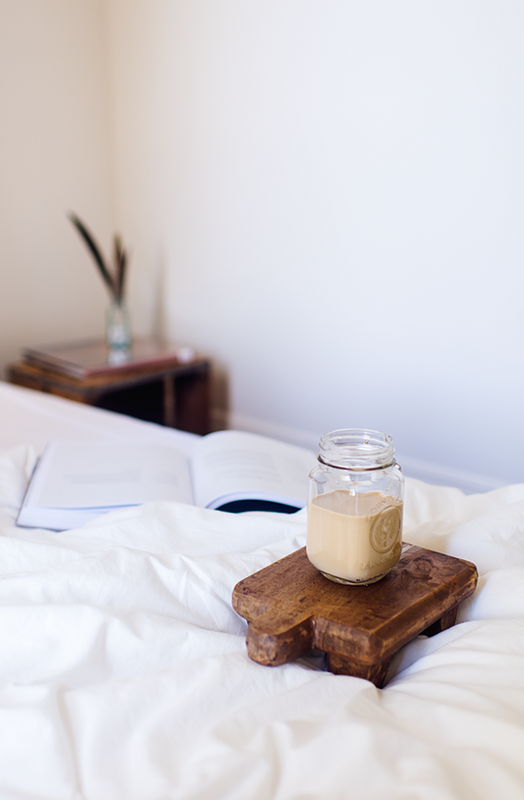 Let me tell you my latest passion – making my own ice vanilla latte. Lovely and fresh idea, perfect for the summer. I like it so much that just yesterday I drank four big cups and today I already finished my third one and I’m ready for the next as you can see on the pictures. And the recipe is really simple and it is a new, fun way for me to diversify my black coffee drinking routine. And you need only two ingredients! Are you ready? So first make your coffee – I’m currently making mine using Chemex, but you can use whatever you have at home – espresso, French press etc. 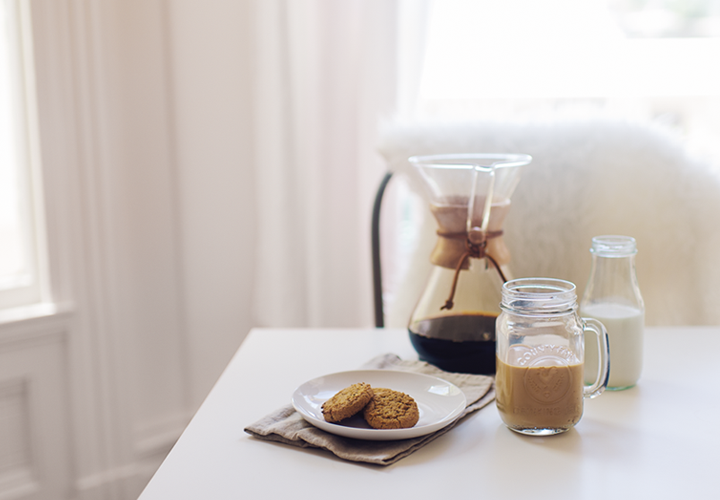 Oh, and you can put your coffee in a small jar – it looks fancy and so summer style. Then just add vanilla flavored milk (here I discovered and actively using Half and Half French Vanilla) and don’t worry to put even more of it. Add some ice cubes and enjoy. hahaha :) try it … and then we can give you a club card for the coffee addicted club. Oh I love these iced coffees in a summer time. So refreshing. Thank you for sharing your recipe and I love your photography! I add vanilla soy milk to mine and it's so good.